Create your own photo booth with this 1980's themed selfie photo props as a fun activity for your party guests! 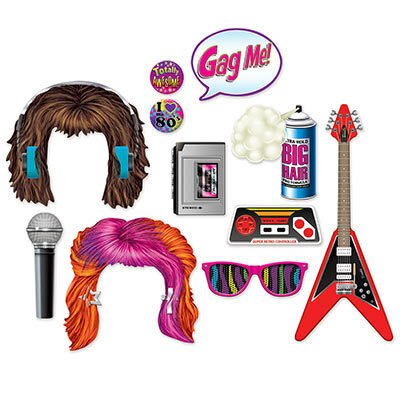 This 1980's pack contains 11 fun props with tape cassette, 2 x 1980's style wigs, BIG hair spray, Totally Awesome & I Love the 80's signs, microphone & guitar & a speech bubbles for you to customise to name a few. These Photo props are great for a 1980's themed parties.